Has anyone out there used race glaze on their cars?? A buddy suggested I try it. Without knowing anyhting about this product - It sounds like something you wax on the car to make it glide through the air faster when you're on the track.. It's a wax or dirivitive there of. I was told to use it as a quick detailer. I was also told it will lower my e.t's to the low 12's, because the reduction in drag!! 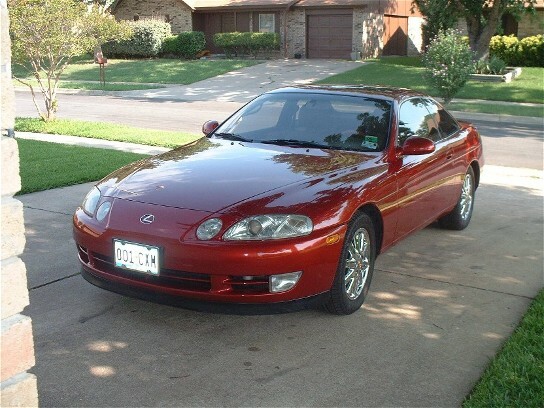 I just tried Race Glaze on my 1992 SC400. I really like the results. It's a body shop safe polish. I don't like it much as it leaves a lot of white residue. IMO Meguiar's #80 Speed glaze is better. JFELBAB had a problem with too much white residue left with race glaze. Perhaps I was just lucky, but I did not have that problem. In fact I really like how it goes on and buffs off. So was your car faster? Some people paint the side mirrors and front bumper skirt YELLOW to make the car go faster. Not sure if that works, either.